Scientists say a messy desk may be a sign of genius. However, working in clutter can be really bad for your productivity. These desk accessories will help you clean up the mess and maintain a tidy workspace. Is a messy desk really a sign of genius? Some researchers believe so. Disorder seems to be linked with creative thinking. Why is a messy desk bad? While the creative stuff is great, being unable to find what you need can slow you down and cause stress. What is the best desk organizer? 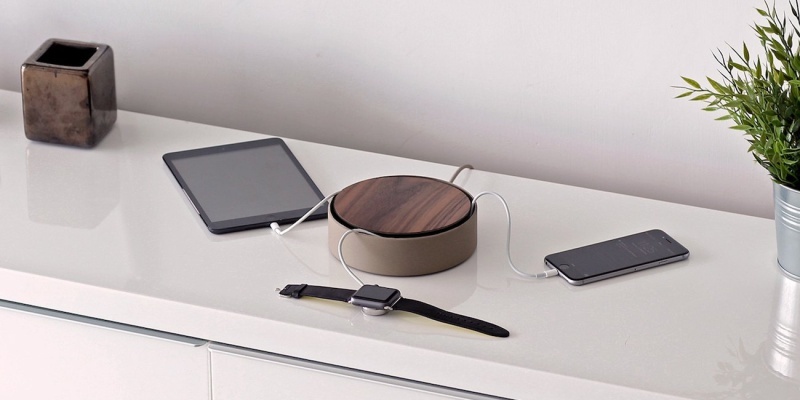 Check out this roundup for our favorite organizers, cable tidies and pen holders. Some people thrive in clutter. It might look like the aftermath of a hurricane, but they know exactly where everything is. Sadly not everyone has this gift. If you struggle to look beyond the mess, these desk accessories should help you keep things tidy. Untamed cables can quickly run rampant on your desk. These reusable ties allow you to keep control and stay organized. 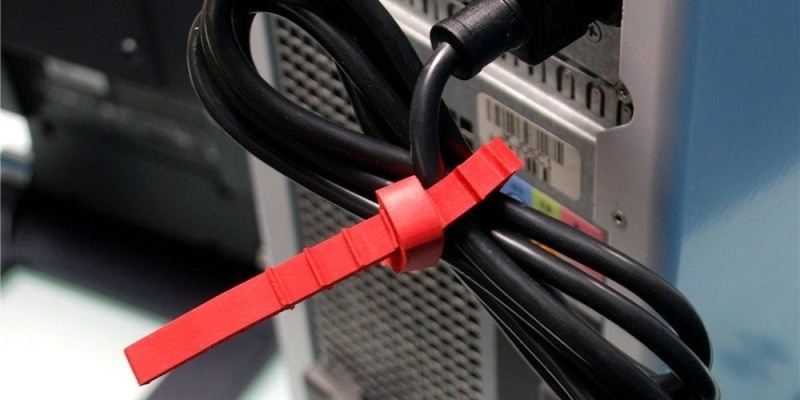 With several colors in each pack, you can color code your cables. A more stylish option for cable management is the ECLIPSE by Native Union. This beautiful little box can hold up to 20 feet of excess cable, with three USB outlets providing 7.8A of total output. It’s the ultimate three-in-one charger. Inspired by Japanese lunch boxes, this beautiful little organizer is the perfect home for your Apple accessories. 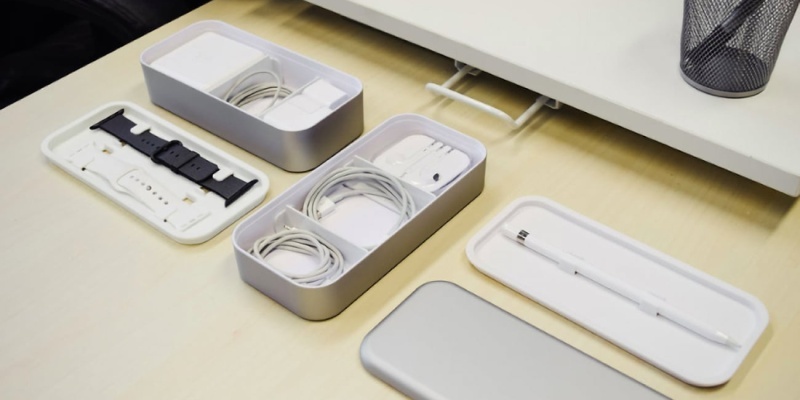 Inside, there are four stacked compartments that can hold chargers, earbuds, your Apple Pencil, and more. These desk accessories will help you clean up the mess and maintain a tidy workspace. 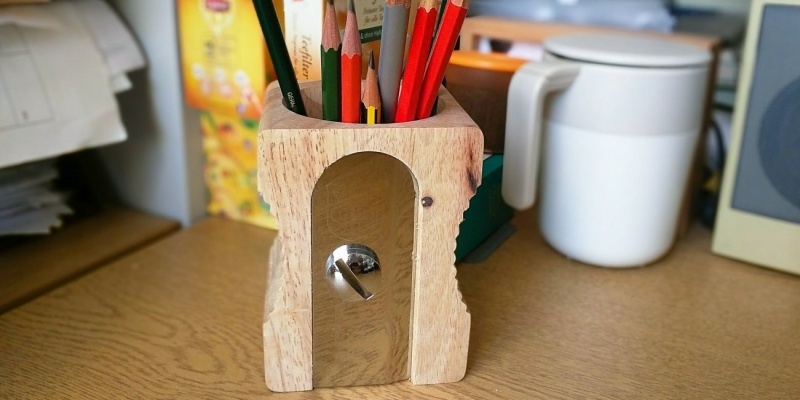 This fun little product lets you keep all your pens and pencils in one place. Styled to look like a giant sharpener, this desk tidy is made from sustainable rubberwood and stainless steel. 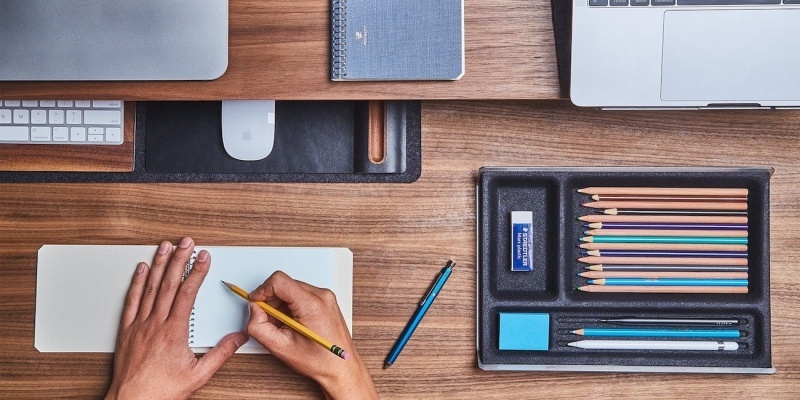 Another good place for storing stationery is Grovemade’s desk tray. This beautiful little platter has grooves for your pens, a small depression for an eraser, and a separate section for your calculator. When you connect multiple USB devices to your MacBook, it’s easy to get tangled. 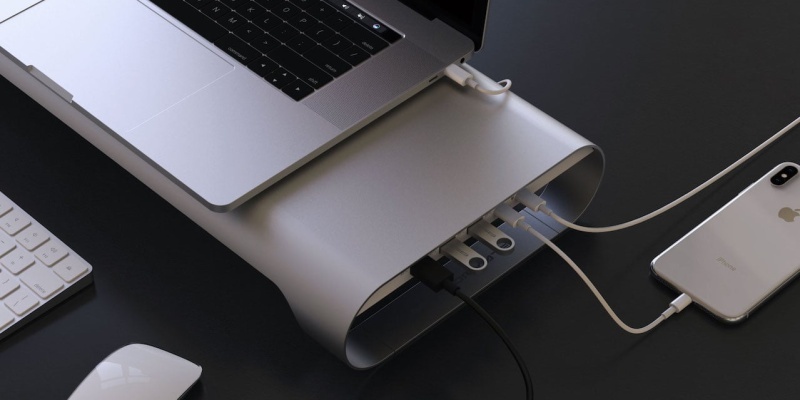 ProBASE HD is a connectivity hub for your MacBook, meaning you only need to plug in one cable. It supports 4K HDMI and USB-C, with a concealed drawer for small accessories. Made from walnut or maple, this shelving system from Grovemade adds vertical storage to your desk. The main shelf is strong enough to support most monitors, and there’s space underneath to store your keyboard or the desk tray mentioned above. 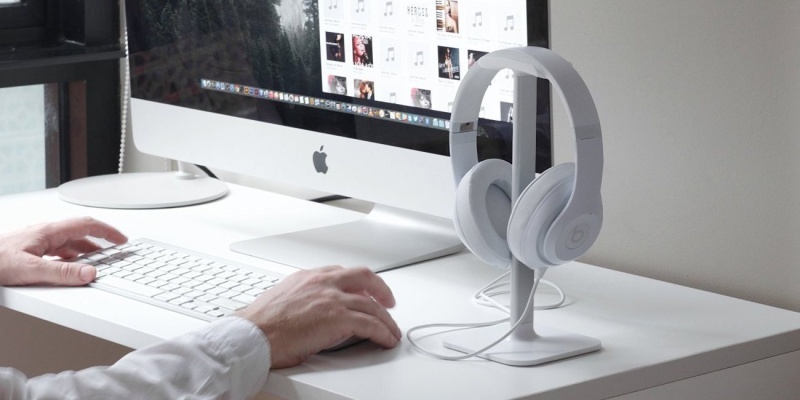 Headphones can be a real space waster on your desk. The Posto stand from Bluelounge lets you elevate your cans, meaning they are always available. 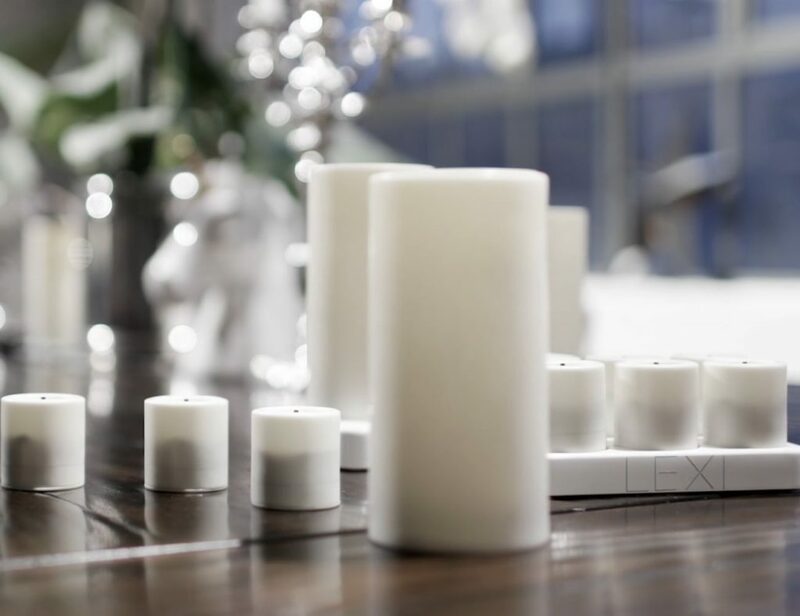 Made from strong aluminum, this sleek stand comes in white and black versions. With eight different modules, Gather lets you create the perfect desk organizer. The various pieces can be arranged in any order, with the magnetic wooden base providing a solid anchor. 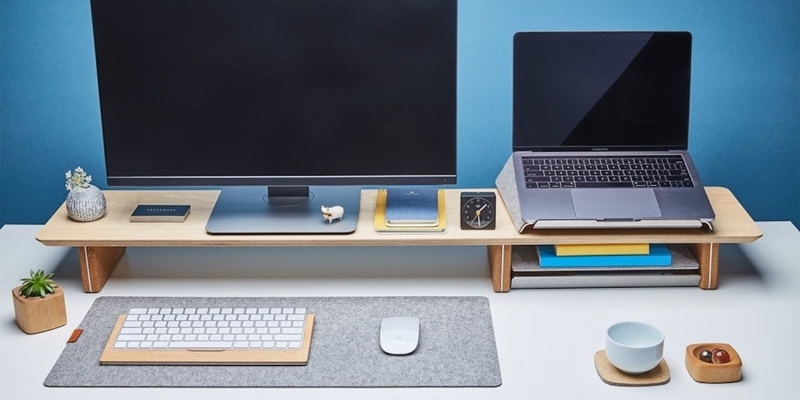 These products are not only about maintaining a tidy workspace — they allow you to create the perfect environment for productivity. What does your desk look like? We’d love know! Share your set-up in the comments.